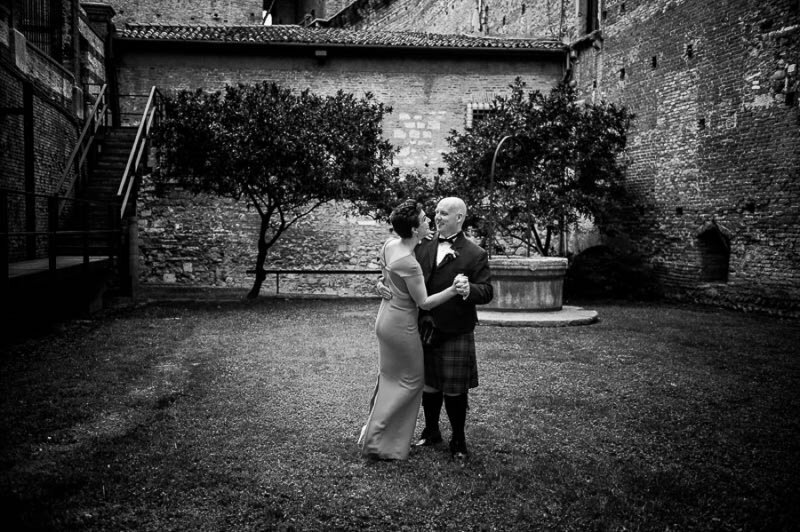 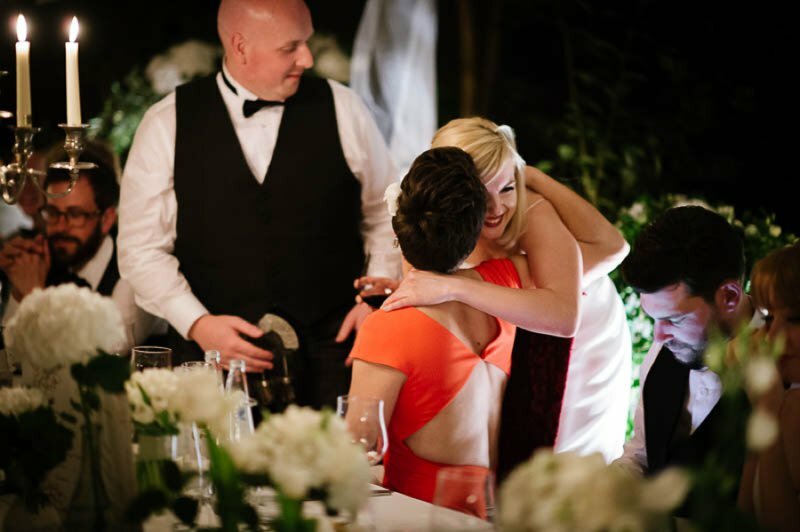 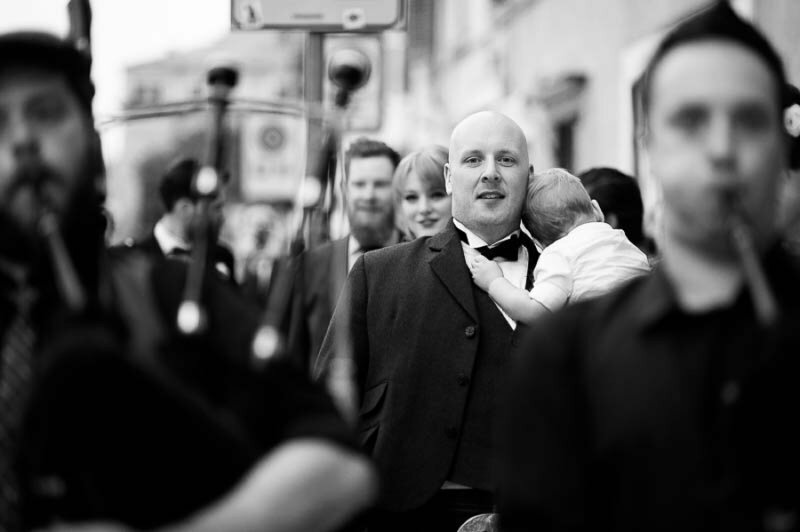 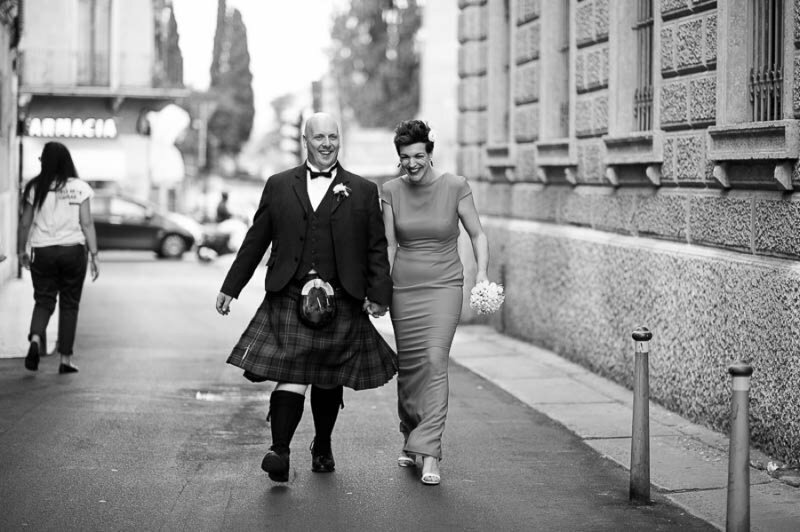 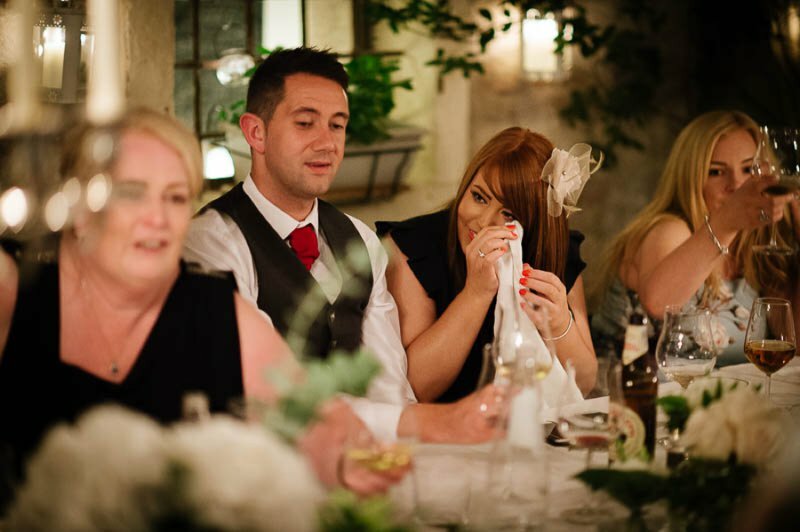 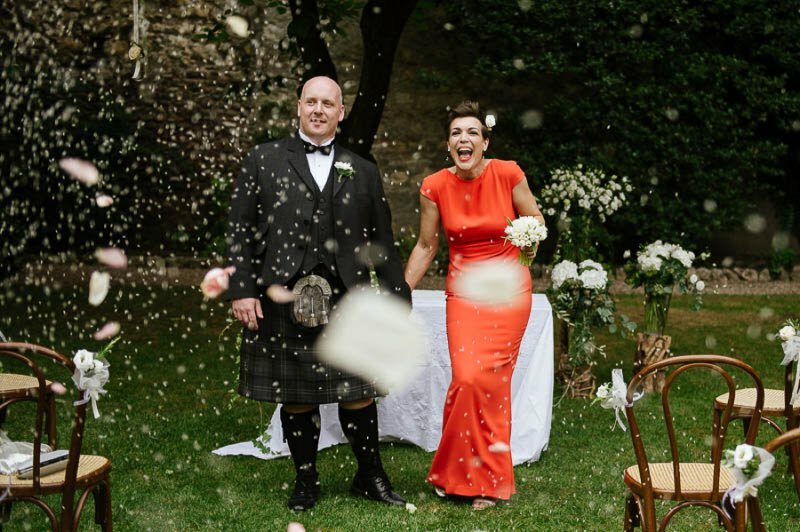 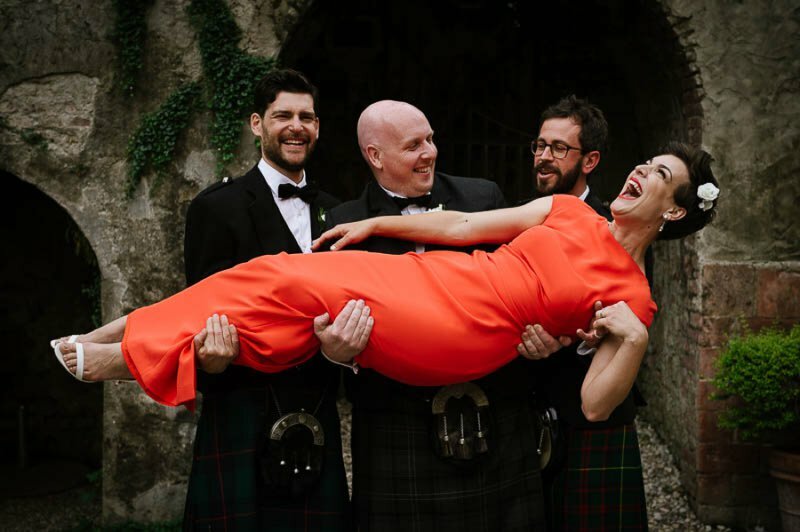 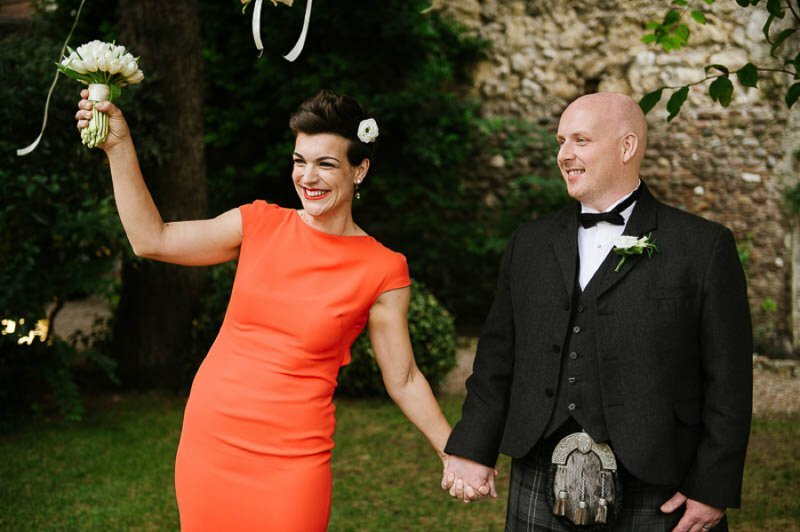 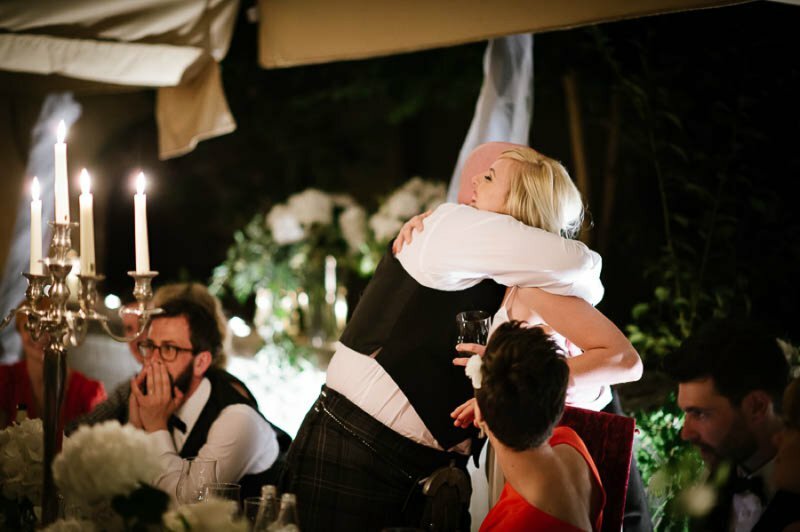 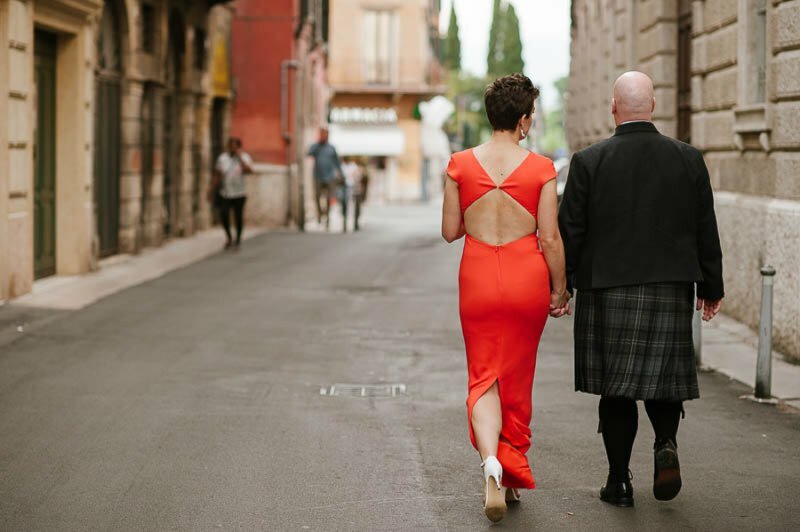 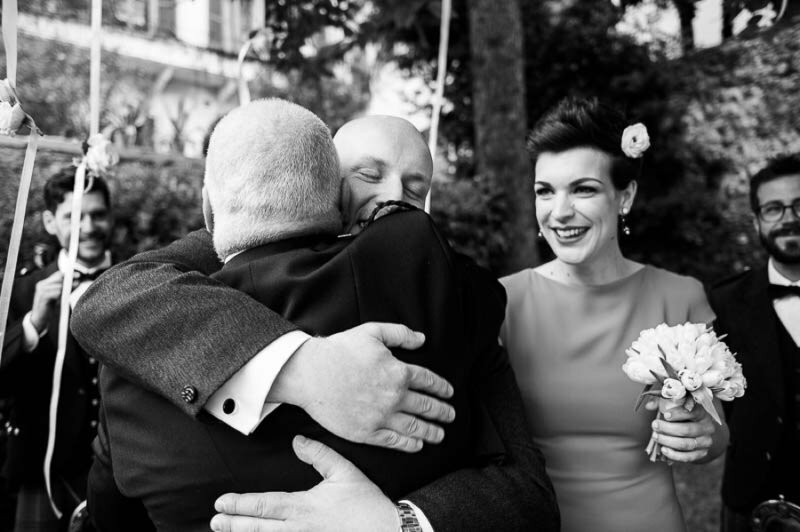 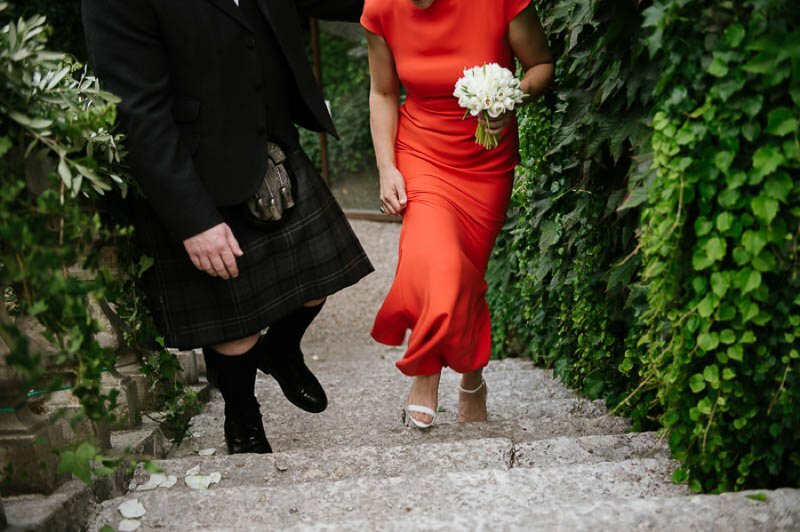 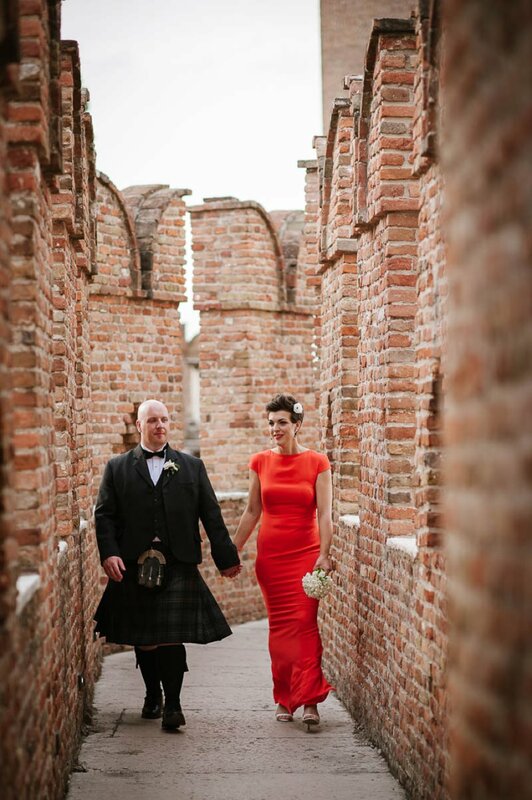 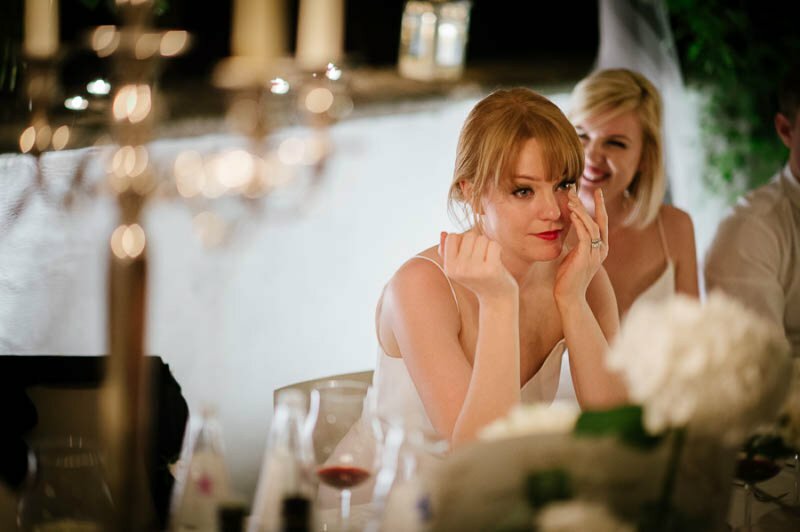 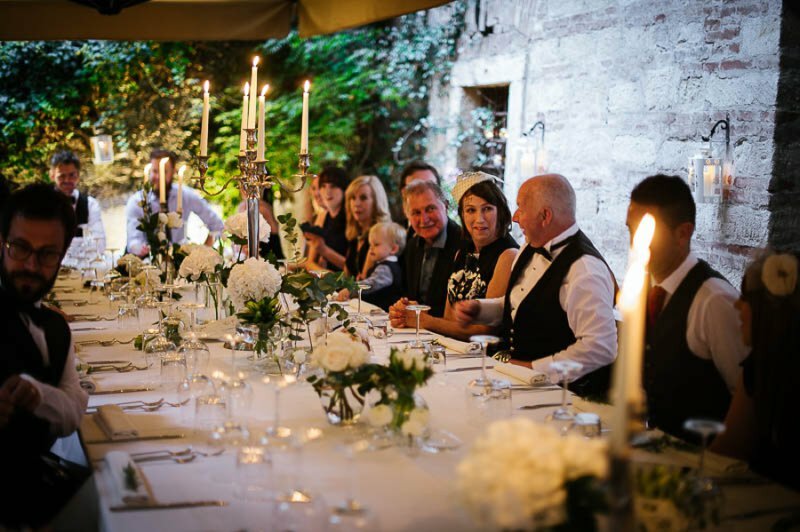 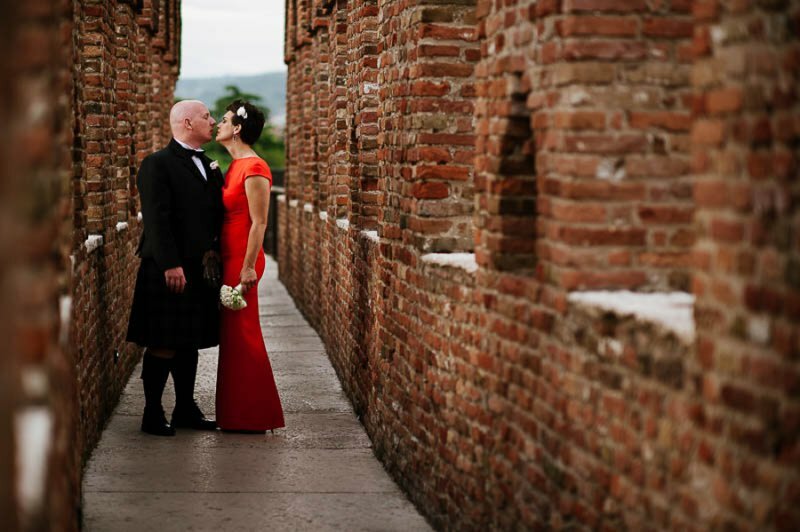 I want to tell you the story of a couple, Anita and Adam, who chose Verona to get married, for their Scottish wedding in Italy . 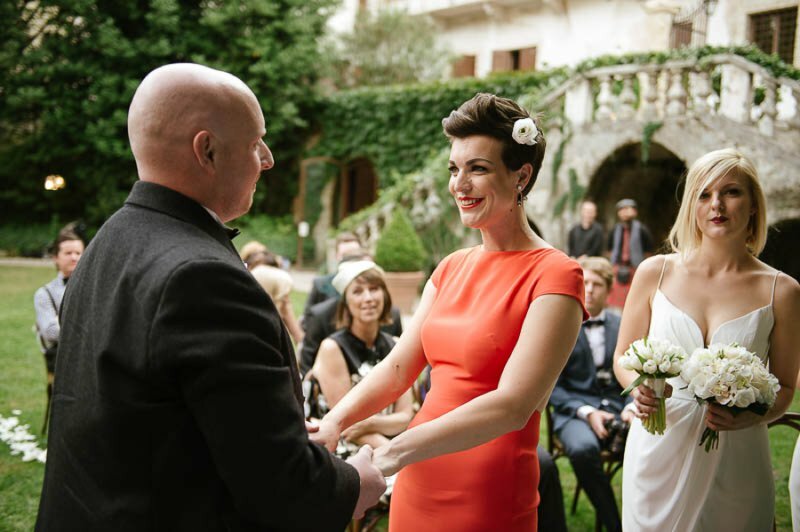 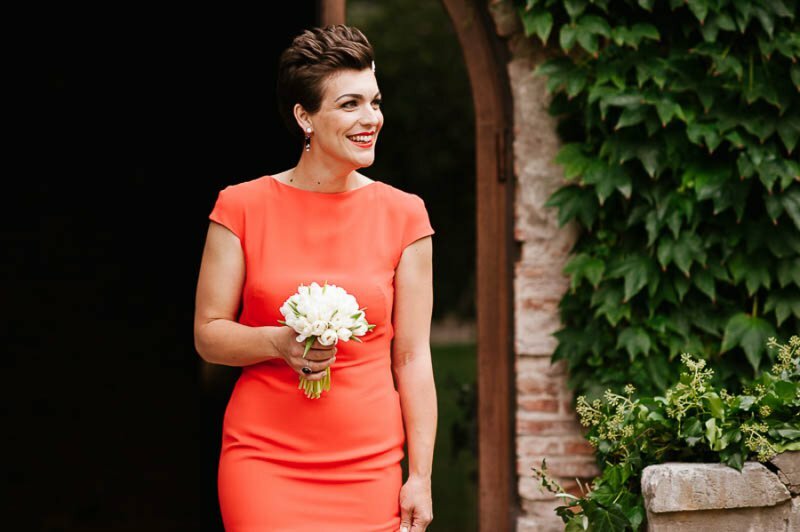 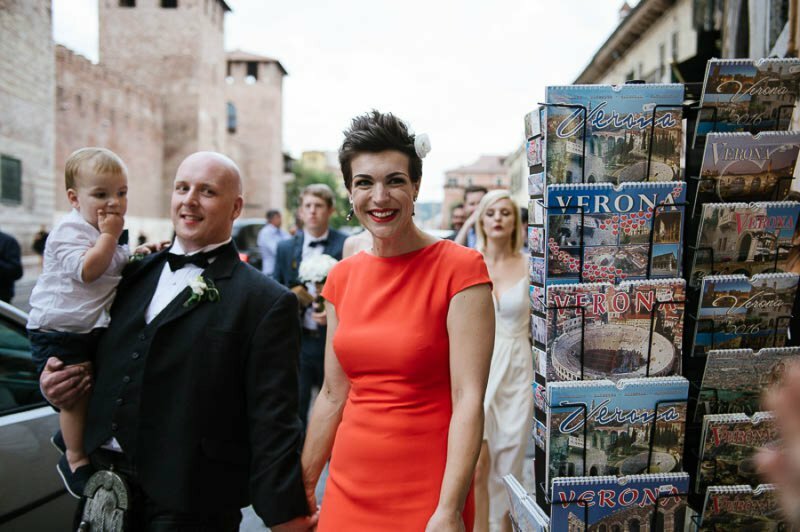 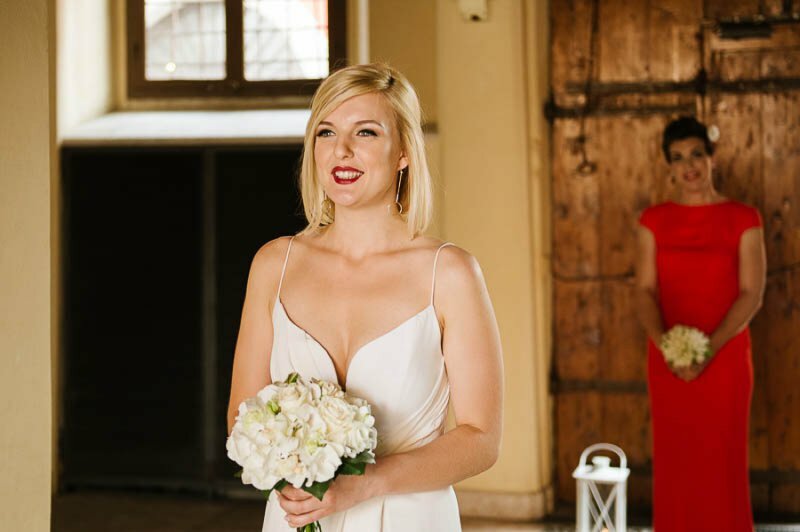 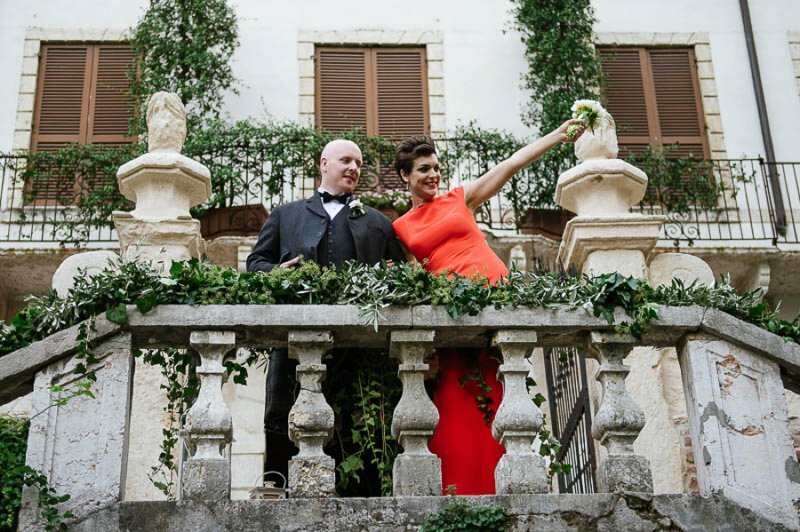 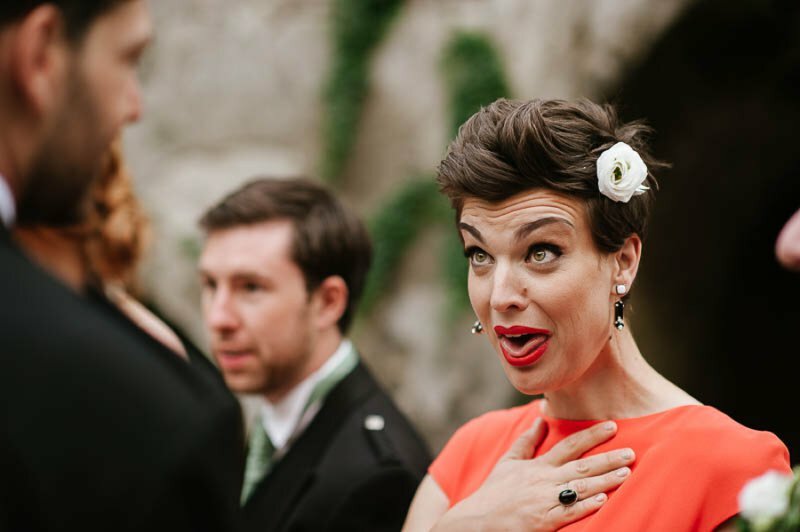 Anita and Adam chose Verona in Italy to get married in September. 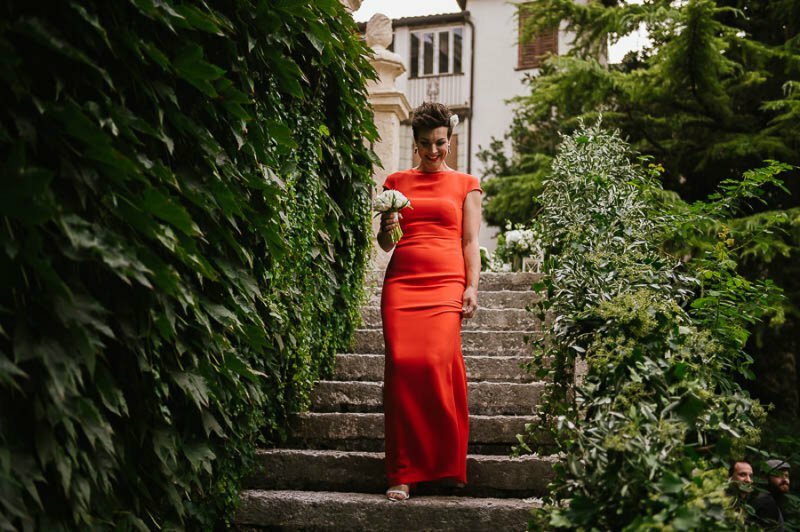 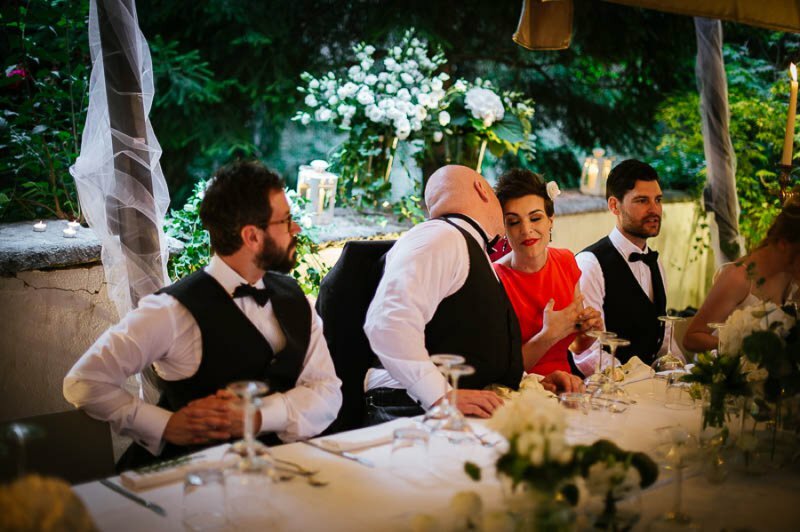 They arrived in Verona few days before their wedding and they chose to stay at “Il Relais”, an elegant period house perfectly situated in the historic centre of Verona just a few steps from the Arena, Castelvecchio and from Palazzo Verità Poeta too, that they had choosen as the wedding ceremony venue. 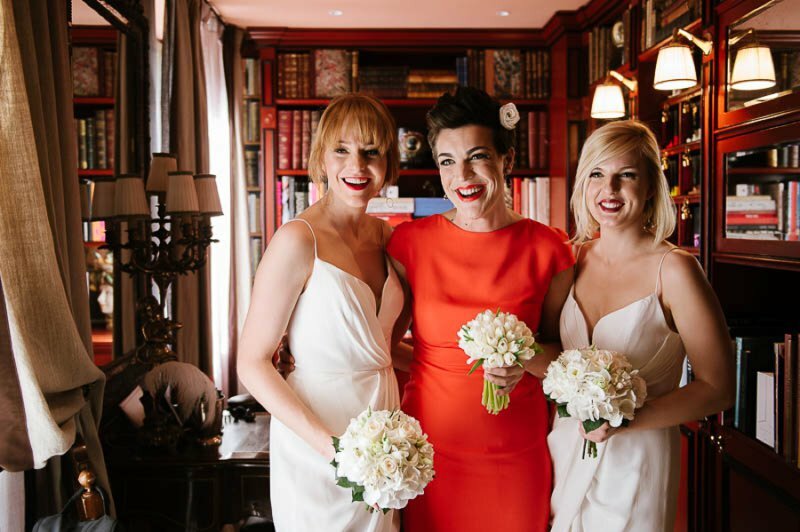 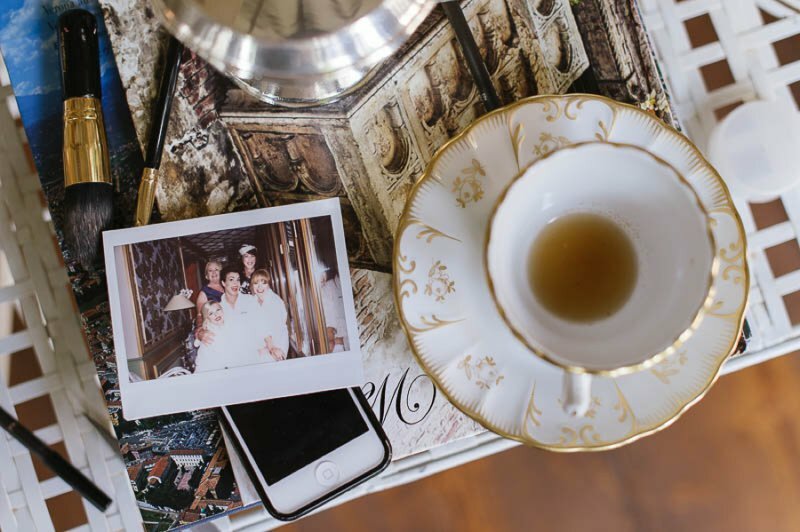 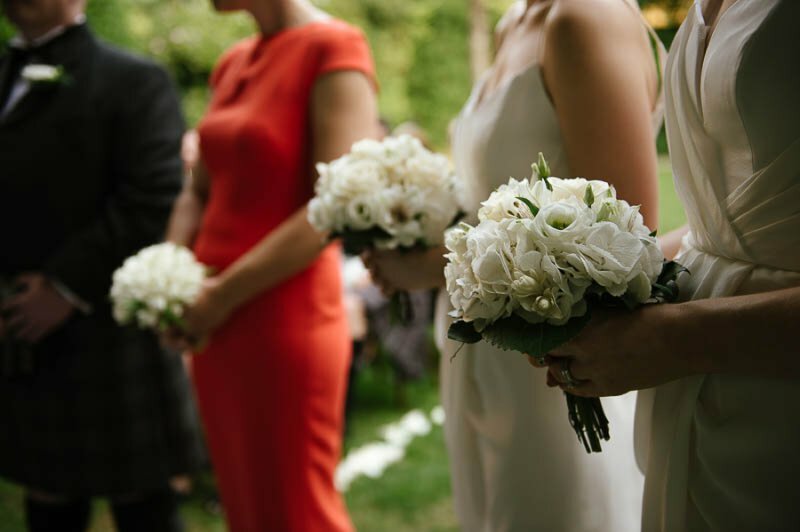 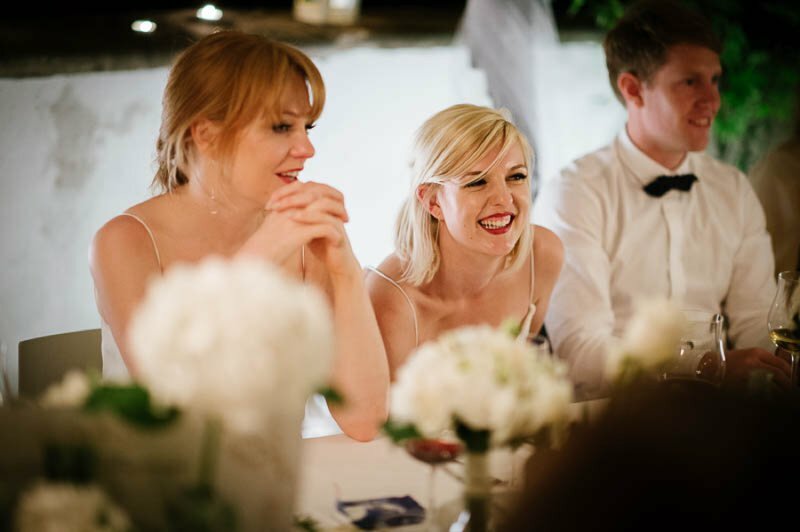 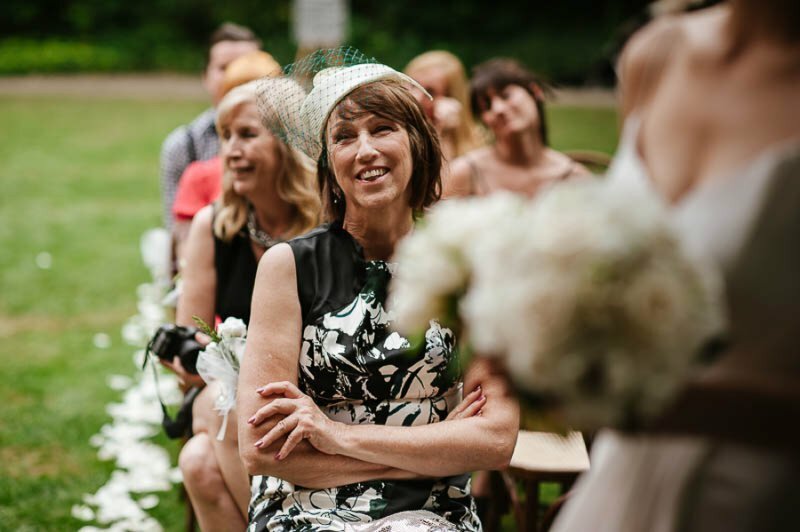 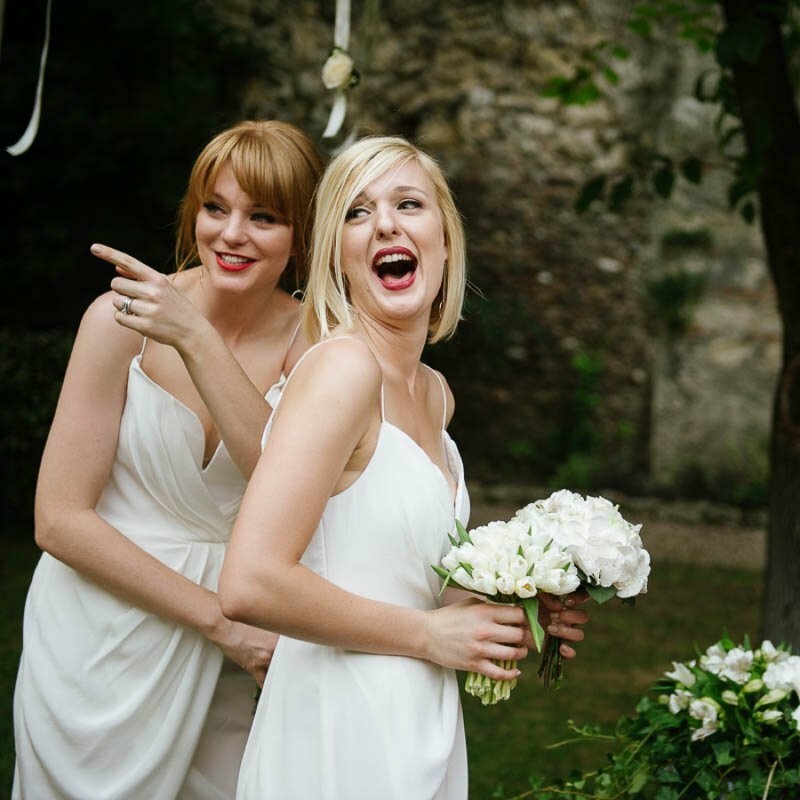 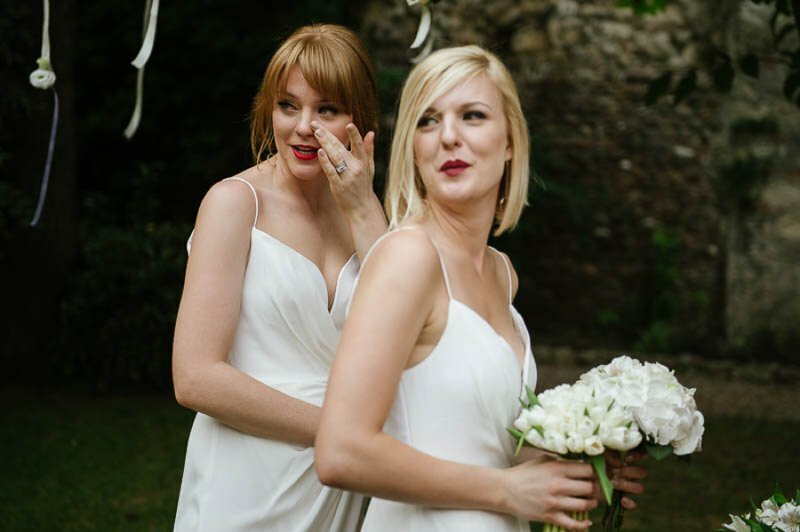 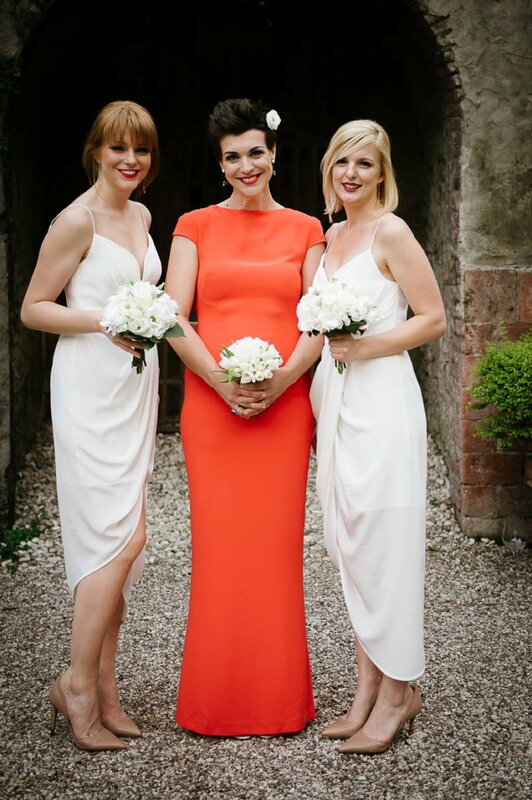 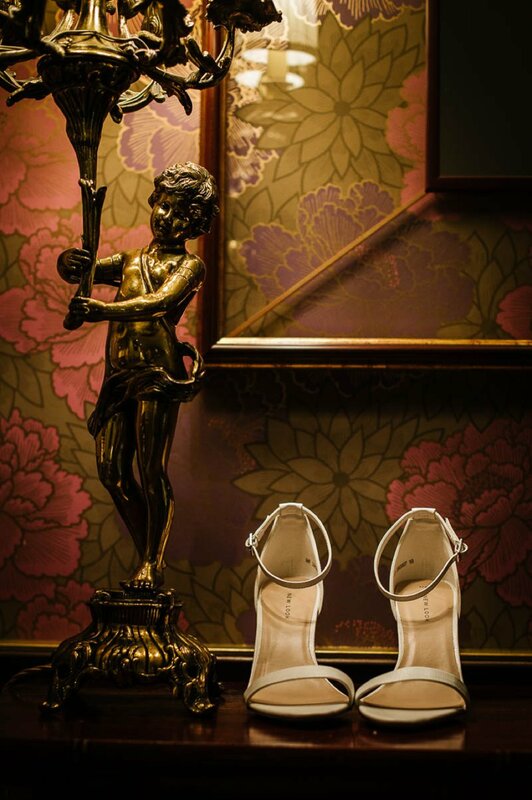 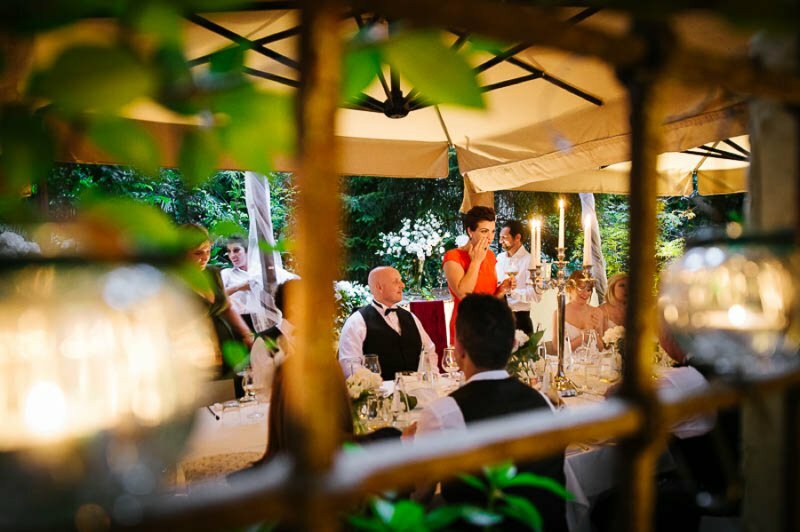 Anita and her bridesmaids prepared themselves at ‘Il Relais’ where the atmosphere was very relaxed but at the same time there was an air of excitment too. 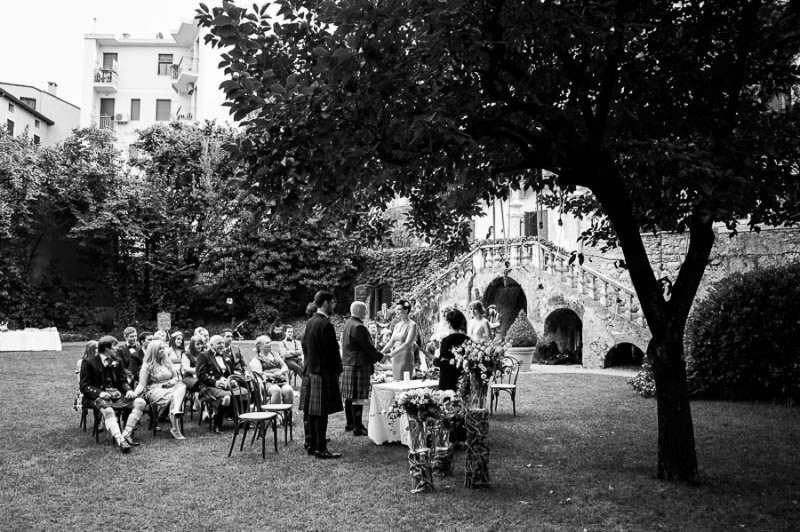 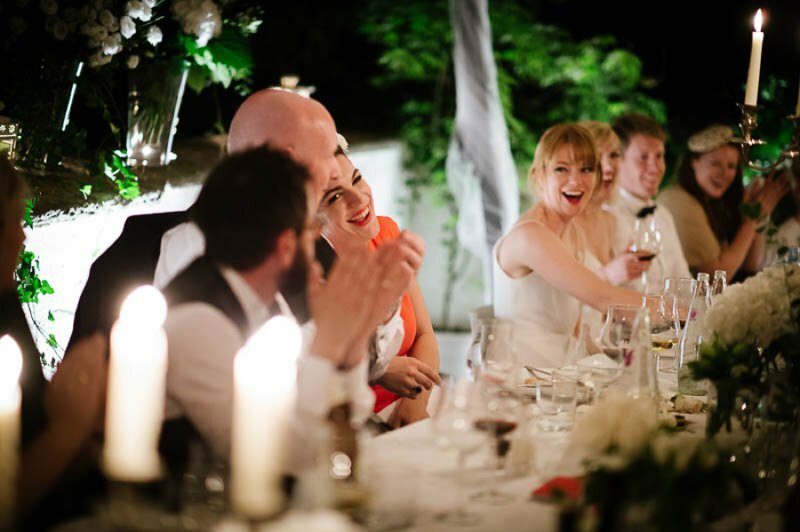 The intimate outdoor wedding at Palazzo Verità Poeta took place in the graceful garden of venue, in the historic center of Verona. 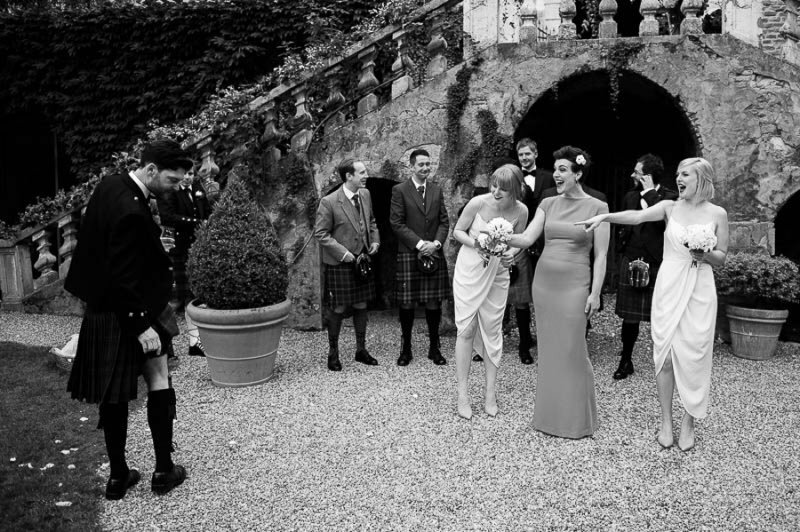 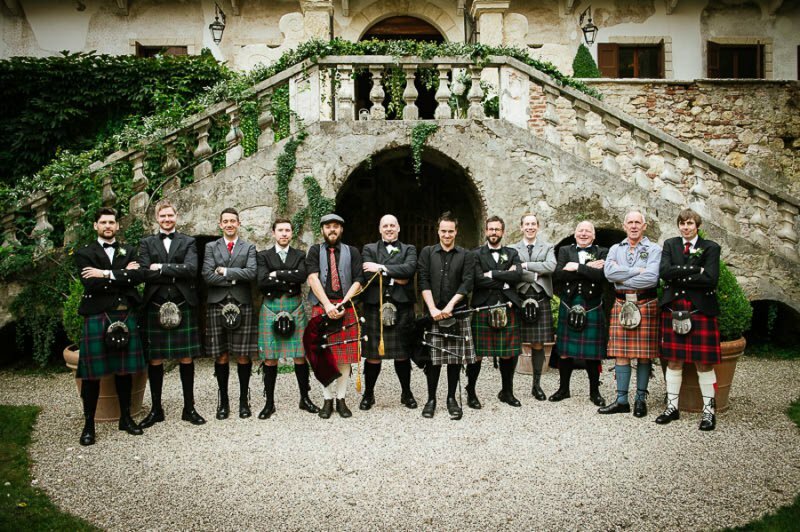 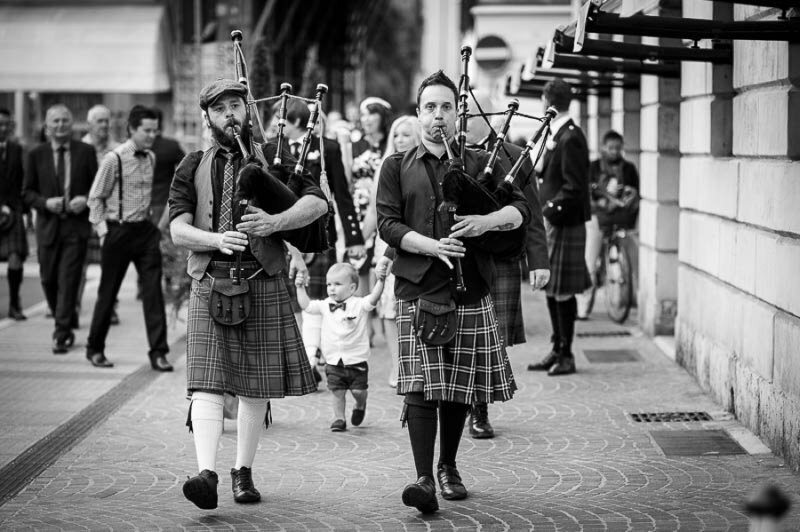 All the Scottish men wore traditional kilts honoring the groom’s family. 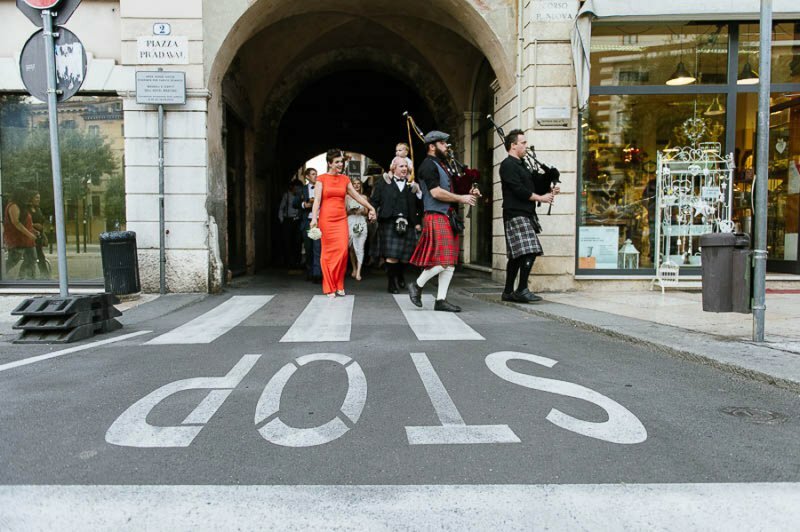 The guests were welcomed to the ceremony with the sound of bagpipes. 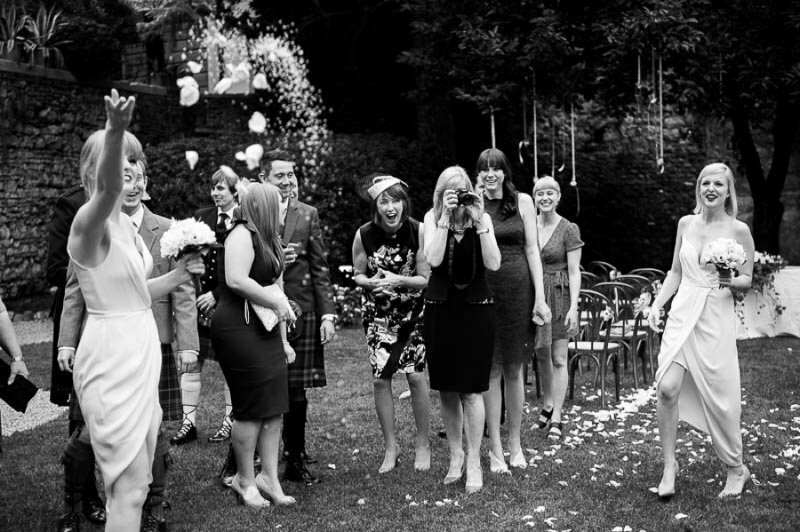 Anita and her bridesmaids left Il Relais and walked to the location of the Ceremony location relaxed and full of laughter. 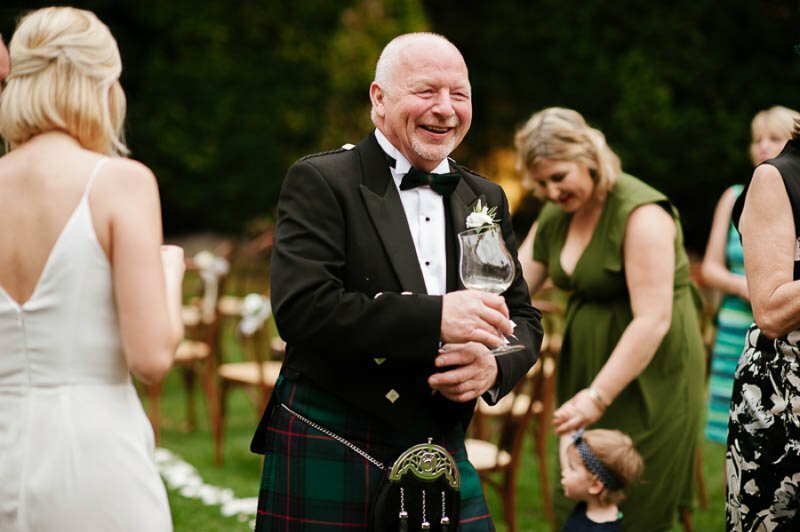 On their arrival at the main entrance, the bagpipes stopped and a special song played for Anita as the wedding procession began. 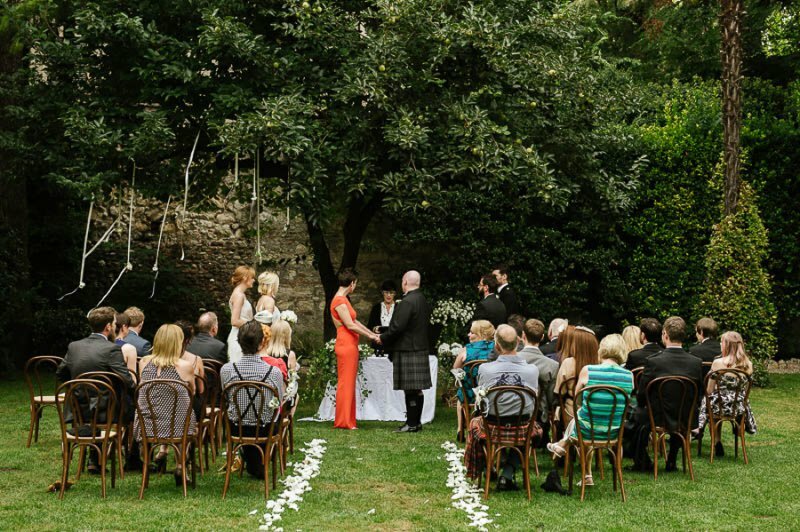 The Ceremony table was positioned under a tree, and covered by an antique, hand embroidered linen tablecloth. 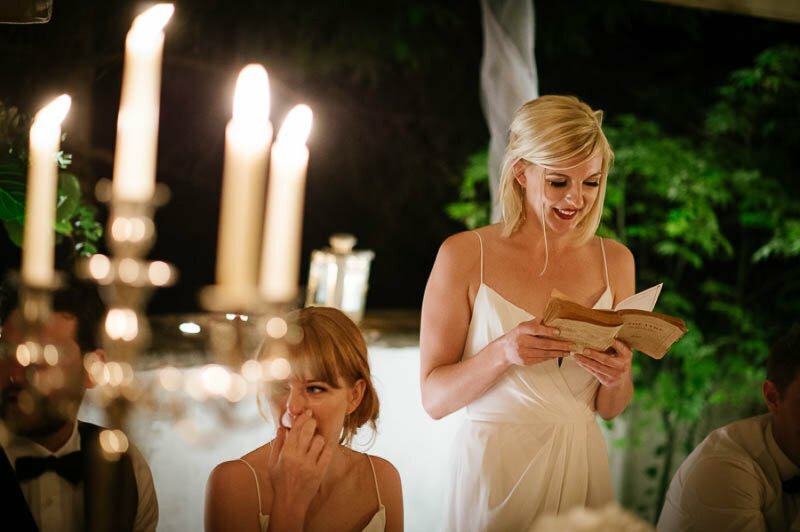 On the ceremony table, there were candles for the symbolic ritual of the lighting of the Unity Candle, which symbolizes the joining of two hands, two hearts and two lives into one. 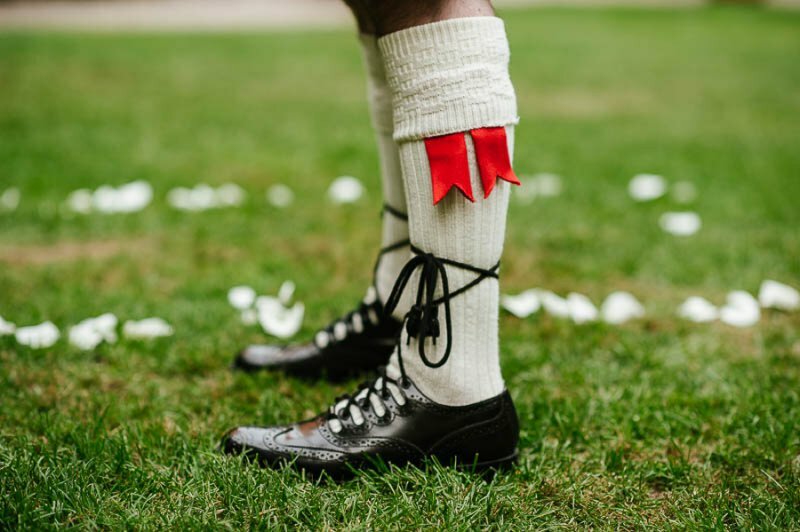 White satin ribbons hung from the branches of the tree above the ceremony table creating a focal point for the couple and the celebrant. 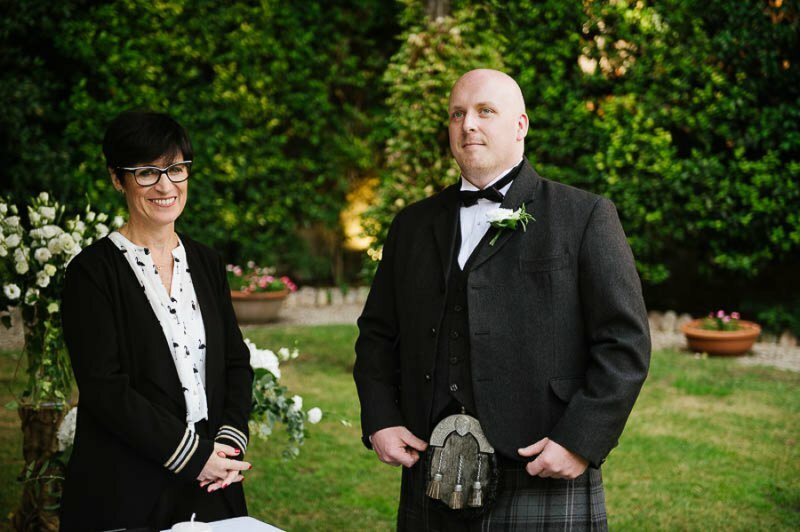 Adam and Anita at the end of ceremony requested all the guests to sign the certificate parchment as witnesses. 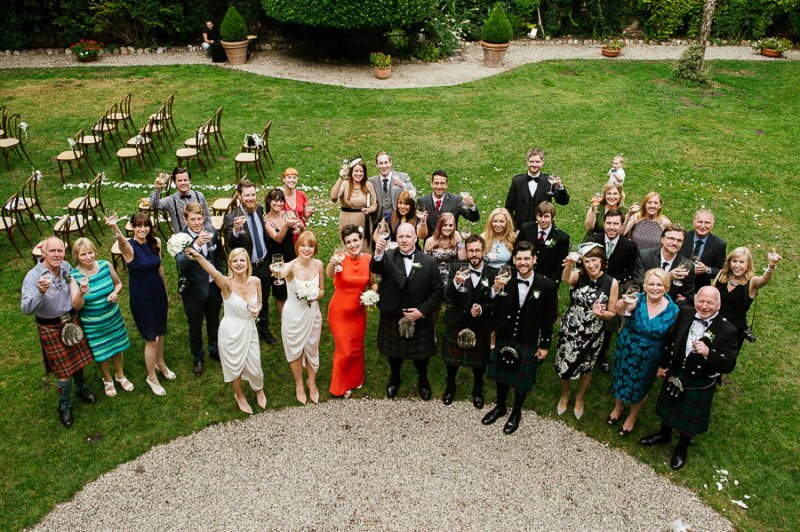 Cocktails were then served in the garden, and toasts with their family and friends began. 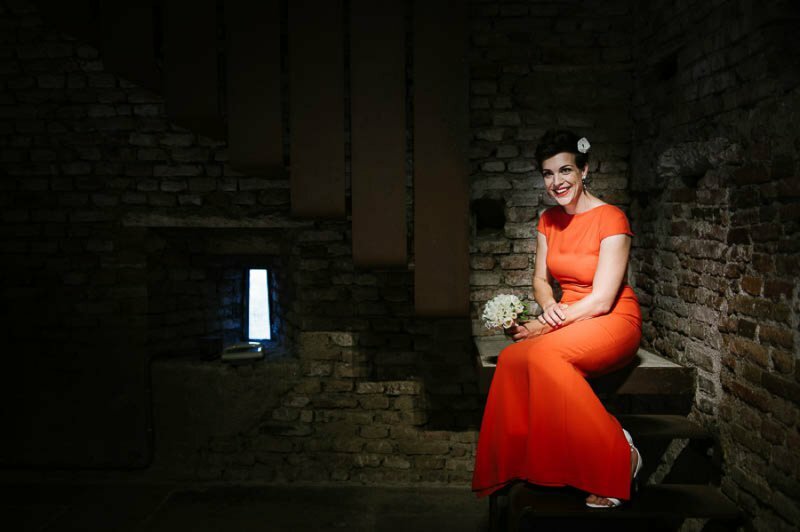 The photo shoot followed in the suggestive Castelvecchio Castle Museum. 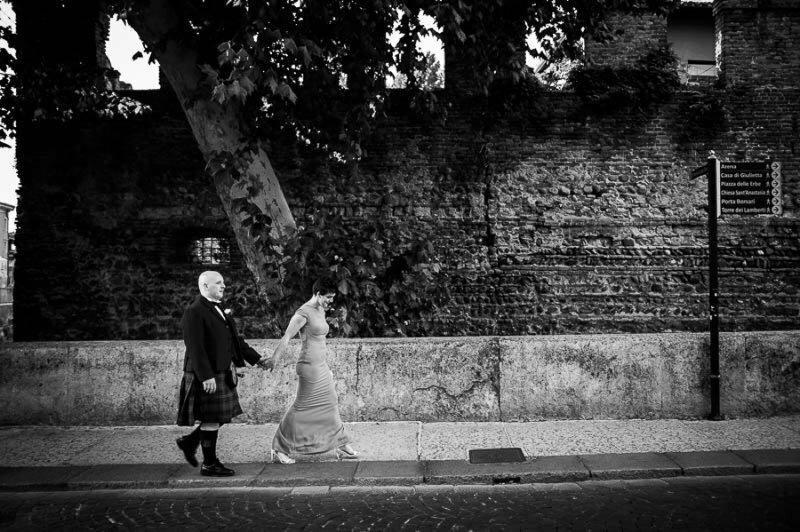 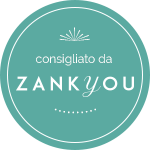 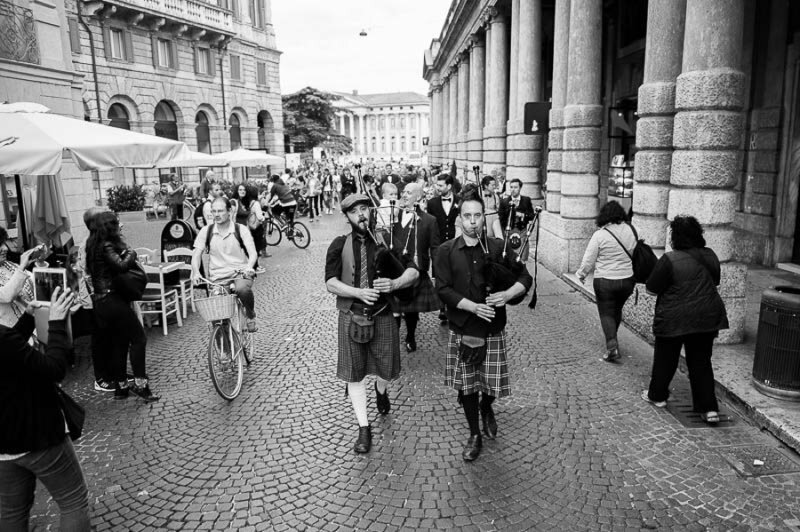 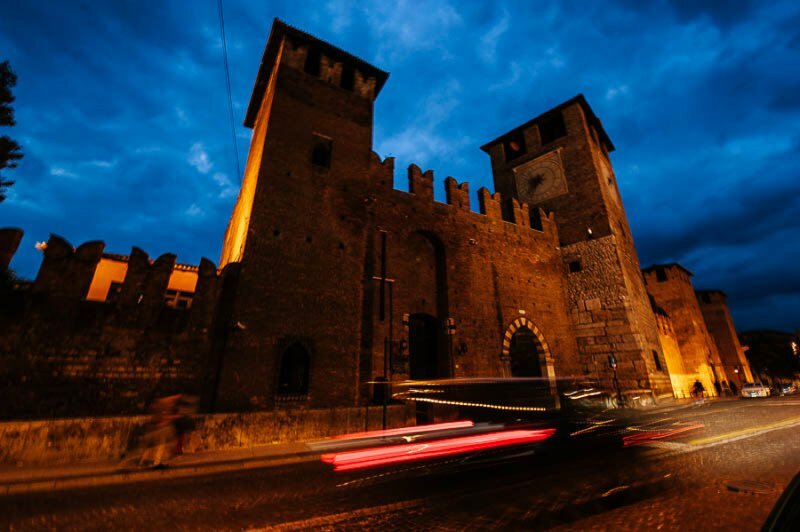 When they came back they left again all together accompanied to the sound of bigpipes as they walked to Piazza Brà, dominated by the centuries old Arena, and then on to the reception location, restaurant La Cantina del 15. 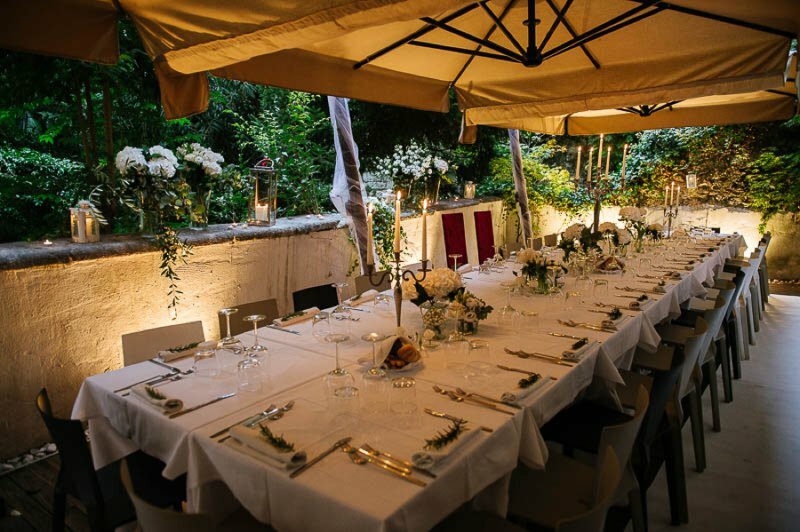 An imperial table was arranged for them in the inner garden of restaurant and big silver candelabras that held many white candles created the ambiance they wanted. 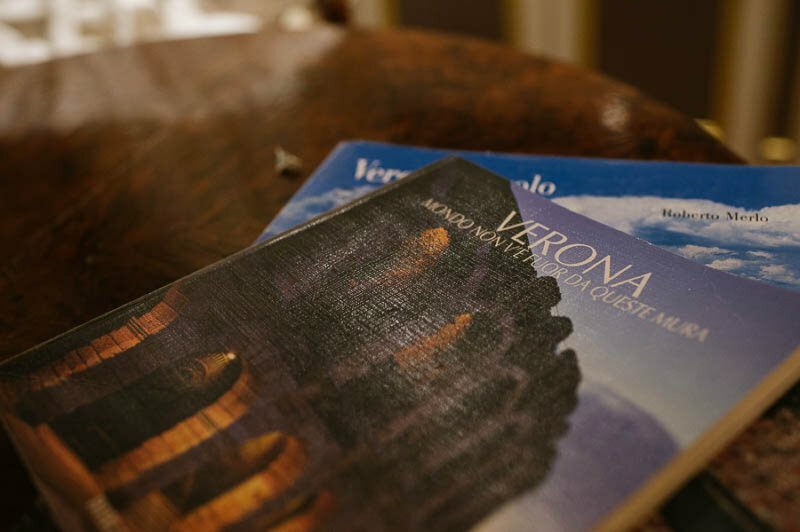 It was a fantastic dinner with a lot of wonderful Italian food and wine. 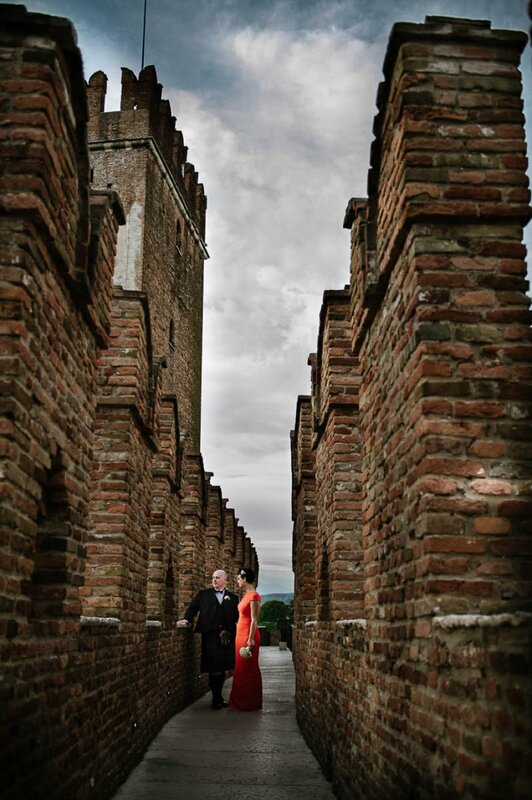 Thanks Anita and Adam for choosing me and my town for one of the most beautiful moments of your life. 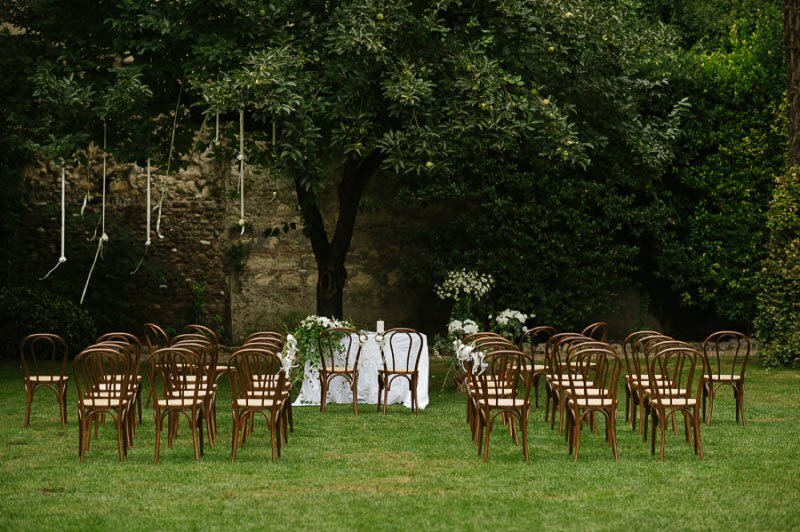 (Claudia Martinelli – The Wedding Party).